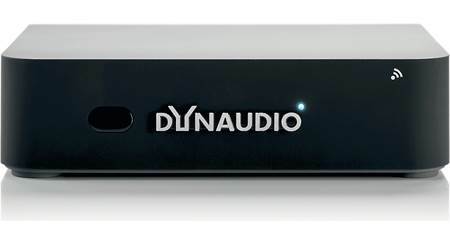 The Dynaudio Link receives wireless input from a Dynaudio Connect or Dynaudio Extender, then sends it along as analog or digital output. The upshot? 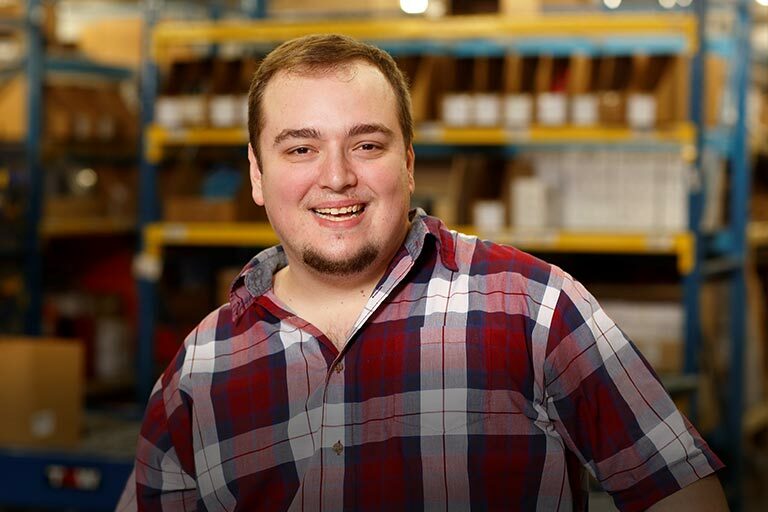 You can connect additional active subwoofers, active speakers, or other components to your existing Xeo system. You can even use it to create additional zones in a whole-house audio system. 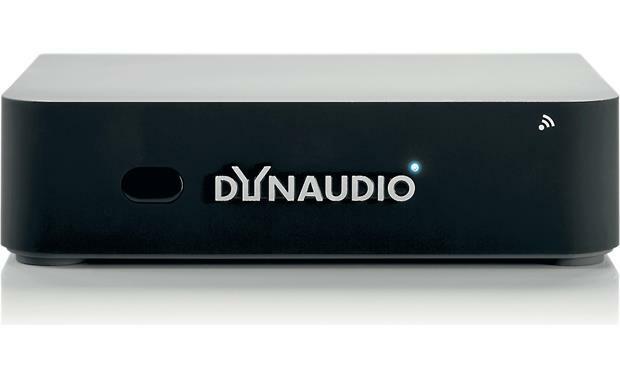 Link 2017: The Dynaudio Link 2017 receives a wireless signal from the Dynaudio Connect or Extender (both sold separately) and then outputs analog and digital audio signal to your existing AV or stereo receiver, integrated amplifier, or powered speakers. As a result, you can integrate Dynaudio's Connect Series of components with your existing audio system. 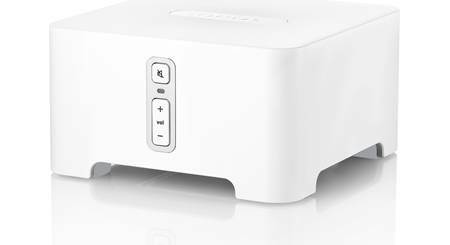 Wireless RF Transmission (16-bit/48kHz): The Link 2017 from Dynaudio uses RF (2.4/5.2/5.8GHz) to wirelessly receive a 16-bit/48kHz audio signal from the Dynaudio Connect or Extender. Analog & Digital Outputs: The Link 2017 is equipped with both analog and digital outputs. 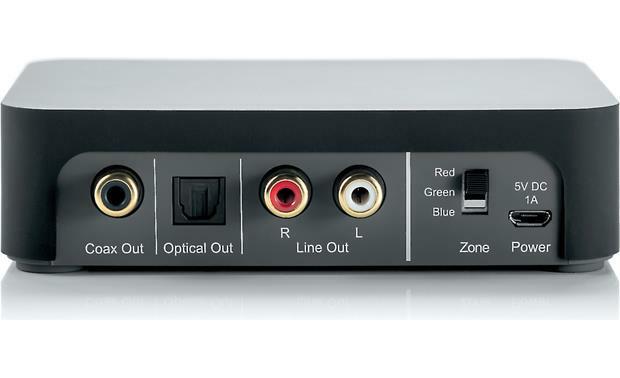 It features a stereo RCA output, as well as an optical (toslink) digital output and a coaxial (RCA) digital output. All outputs are active allowing you to connect the Link 2017 to up to three playback devices (the same source audio signal will be sent to each output). Zones: You can assign the Dynaudio Link 2017 one of three an audio zones (Red, Green, or Blue). All of the Link 2017's outputs will be selectable in one Zone. The Zone selector switch is located on the back of the Link 2017. Remote Control (Optional): The Link 2017 can be controlled via the Xeo Master Remote (sold separately) in conjunction with the Dynaudio Connect or Extender. Connect Series: Dynaudio's Connect series consists of the following wireless components and powered speakers to create a wireless multi-room/multi-source audio distribution system (up to 3 Zones). Dynaudio Connect: The Dynaudio Connect (sold separately) connects to your home WiFi network and lets you stream music directly from your smartphone, tablet, laptop, or computer. Dynaudio Connect even supports Spotify Connect, so you can stream music directly from your Spotify account. The Connect also features analog inputs (including 3.5mm Aux and stereo RCA input), as well as digital inputs (including USB-B and optical/coaxial digital) to connect your external analog and digital audio devices. In addition, the Dynaudio Connect offers built-in Bluetooth. Xeo & Focal Speakers: Dynaudio's Xeo & Focus powered speakers (sold separately) can wirelessly connect with the Dynaudio Connect to create a wireless multi-room distribution audio system. Power Requirements: The Dynaudio Link 2017 includes an AC power which will need to be plugged into an AC outlet or surge protector (sold separately). Searches related to the Dynaudio Link Wireless receiver with analog and digital output.